*NOTE: Avaya manufactured T7316E phones (i.e. 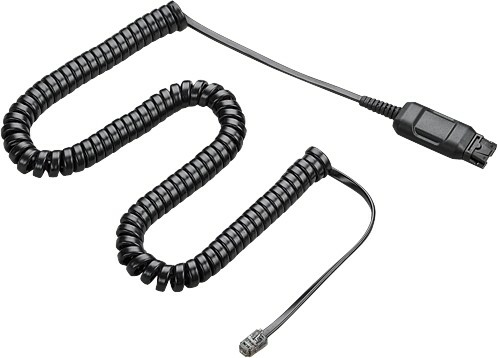 T7316E phones with Avaya logo) are not compatible with the A10 Quick Disconnect cord. They do not transmit mic audio. When using compatible Plantronics wired headsets, Avaya logo T7316E phones can only be used with the Plantronics M12 Vista Amplifier in manual operation mode. Nortel logo T7316E are compatible with the A10 Quick Disconnect cord.